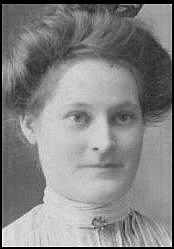 Comments: Agnes M. Shiells (Nee: ) | Williamstown ON Canada | 1901-1920 | Comments: Agnes M. Shiells was born in 1884 in Williamstown, Glengarry to William Tait & Catherine (McIntyre) Shiells. She married Gilbert Harrington McIntosh. She died in 1974 in Navan, Ontario.